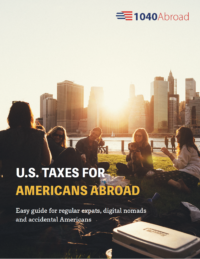 Many U.S. expats forget or get confused about FBAR requirement. But it’s important to understand that failure to file the FBAR will lead to penalties and attention of the IRS. We have gathered 10 important facts, which you need to know about FBAR reporting. Our expat tax specialists have helped hundreds of expats to file their FBAR and we will be happy to help you too! Contact us now at here.